The Mad Hatter may be heading back to the coaching ranks, but that ain't stopping him from shooting his shot at another passion. Les Miles is set to have a starring role in an upcoming movie about the Challenger Space Shuttle disaster called "Angry Men." I admit, it probably ain't going to be a box office smash, win many awards, or even show up in your local theatre, but it's a legit movie and it looks like he's going to get quite a bit of screen time. 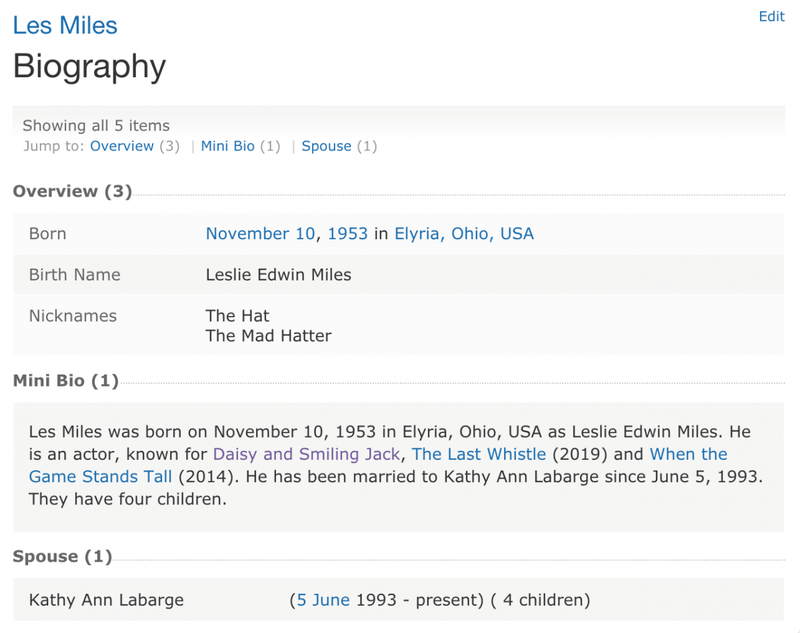 This is just another notch on Miles' IMDB profile, which I have just learned exists and lists three additional movies. And it misses just a few minor details regarding his personal life, although it nails his nicknames. Next time ESPN throws up a Les Miles bio graphic, I'm going to be furious if it doesn't say "known for Daisy and Smiling Jack, The Last Whistle (2019) and When the Game Stands Tall (2014).